Marvel Studios certainly won’t be holding back in 2018. While the now-iconic comic book blockbuster powerhouse is known for its massive event films, next year’s releases appear particularly large in scale. Kicking things off in May will be Marvel’s largest superhero team-up yet, Avengers: Infinity War. The first in a gargantuan two-part saga, this movie will bring together essentially every Marvel hero in the established cinematic universe, from Spider-Man and Doctor Strange to the Avengers and the Guardians of the Galaxy. Then there is the sequel Ant-Man and the Wasp, which will see the return of Paul Rudd’s comedic underdog superhero Scott Lang, Michael Douglas’s mentor figure Hank Pym, and Evangeline Lilly’s Hope van Dyne, now equipped with a super-powered suit of her own. Michelle Pfeiffer will be joining the cast this time around, along with several other new faces. With such heavy hitters in the lineup, it would seem easy for any other film to get lost in the shuffle, and at first blush it might seem that Marvel’s third 2018 release is in danger of such a fate: This February’s Black Panther will function essentially as an origin story for a superhero briefly introduced in last year’s jam-packed Captain America: Civil War. But a closer look at the character, and a careful viewing of the two trailers that have been released for the movie (the second of which premiered last week), reveal that this movie will be unlike any of Marvel’s other offerings, and promises to break ground in more ways than one. As the trailers indicate, Black Panther centers on T’Challa, prince of the fictional African nation of Wakanda, who must return home to assume the mantle of king, as well as the identity of the Black Panther (Wakanda’s chief warrior and protector), following the death of his father T’Chaka in Captain America: Civil War. Along the way, T’Challa will have to negotiate a shift in Wakanda’s centuries-old isolationist attitude in order to take a place on the global stage, while also facing two old enemies who have teamed up to challenge his rule. The movie’s clearest and most notable breakthrough is the fact that it will be the first Marvel film (and the first major superhero movie) to star a primarily African-American cast. Only two of the principal roles will be filled by white actors, with the rest portrayed by African-American performers. The significance of such a historic milestone explains why many filmmakers were attempting to bring the character to the big screen years before the modern Marvel Cinematic Universe was born in 2008. As early as 1992, actor and producer Wesley Snipes was laboring to produce and star in a Black Panther film, but the project never came together (likely because Snipes soon gained recognition for playing a different Marvel superhero, Blade, in three films). 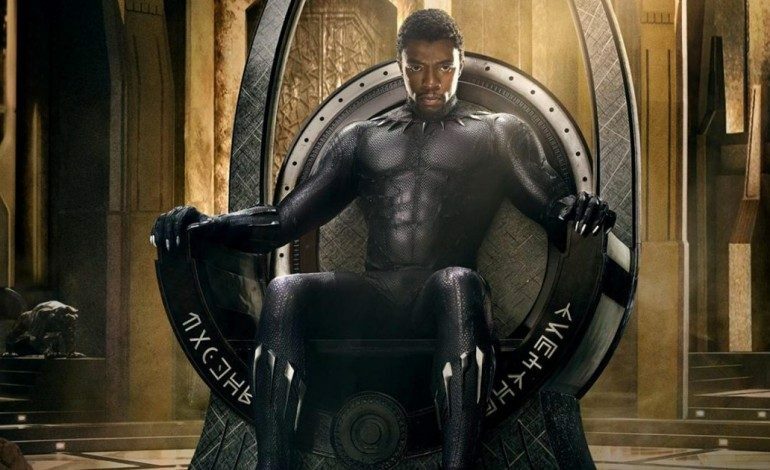 Beyond bringing an African-American superhero to the big screen, Black Panther will also be one of the few major American blockbusters to portray an African nation as thriving and technologically-advanced, shirking the unfortunate Hollywood stereotype of African locales as excitingly exotic, yet impoverished and primitive. Wakanda, as in the comics, is presented here as a glittering, high-tech cityscape featuring armored airships and high-speed monorails. Furthermore, as in the comics, the trailers illustrate that Wakanda is protected by an all-female team of special forces agents known as the Dora Milaje. This story element led to the casting of prominent black actresses Lupita Nyong’o and Danai Gurira, who join other performers such as Letitia Wright and Angela Bassett to form one of the most female-centric principal casts of any Marvel film to date, another admirable aspect of the movie. And in a refreshing accomplishment for a superhero movie headlined by a male actor (Chadwick Boseman portrays T’Challa), all of the women here will be playing powerful, impactful, and intelligent characters. Nyong’o and Gurira portray warriors and intelligence agents, Wright plays Wakanda’s princess who invents much of the nation’s advanced technology, and Bassett takes on the role of T’Challa’s mother Ramonda, who guides and advises her son as he ascends the throne. It seems that Marvel Studios may finally have a shot at overcoming its disappointing history of weak or underdeveloped female characters, such as Black Widow and Scarlet Witch in the Avengers films. Another key element of Black Panther lore will be quite literally mined in the new film. One of the keys to Wakanda’s prosperity is the presence of a vast store of the fictional rare metal vibranium, which has been carefully studied and cleverly utilized by the Wakandans to economically advance their society. However, in order to protect the country from potential invaders who would seek to mine the land for its priceless vibranium, Wakanda’s rulers have chosen to keep the true nature of their homeland hidden from the world for generations, disguising it to outsiders as a humble developing nation. One of the major plot points in the new film will be the unveiling of the true nature of Wakanda before the world, and T’Challa’s efforts to transform the nation into a key global player while also staying true to the cultural roots of his homeland. The soundtrack in each of the movie’s trailers clearly indicates this concept. The first trailer was backed by Run the Jewels’ Legend Has It, which features lyrics like “Step into the spotlight.” The newest trailer opens with Gil Scott-Heron’s 1971 spoken word piece The Revolution Will Not Be Televised, in which Scott-Heron proclaims, “The revolution will be no re-run, brothers. The revolution will be live,” before moving into Vince Staples’ BagBak, which describes the struggle of being black in America today in the face of extreme racism and police brutality. While filmmakers have stated that they intend to respect Black Panther’s comic book origins in the new film, they have also explained that they want to approach Wakanda as a realistic and believable African nation in today’s world. Director Ryan Coogler has said that he wanted to capture the feeling of Wakanda as a country, rather than merely a single city, incorporating multiple tribes with individual languages, cultures and ways of dress. The result, as seen seen in the trailers for the movie, is a unique, futuristic environment populated with characters speaking in accents and wearing clothing inspired by the filmmakers’ extensive research on nations such as Uganda, the Democratic Republic of the Congo, Rwanda, Burundi and Ethiopia. Costume designer Ruth E. Carter, who has earned two Academy Award nominations for her work on period pieces Malcolm X and Amistad, specifically referenced the Basotho, Maasai, Dogon, Himba and Tuareg people when developing designs for Black Panther. Visually, the trailers function as a clear example of Afrofuturism, a cultural aesthetic and philosophy that mixes elements of fantasy and science fiction with non-Western intellectual concepts and themes to critique the current experience of black individuals in today’s world while also re-examining and critically investigating past historical events. Interestingly, though the term Afrofuturism was coined in the early 1990s, the Black Panther character was recognized as one of the early icons of the movement. Indeed, while the filmmakers seem to be doing a remarkable job of effectively bringing Wakanda and Black Panther to life cinematically, much of the brilliance of the character and his world date back to his creation in the mid-1960s. Debuting in a 1966 issue of Fantastic Four, Black Panther was created by Marvel Comics’ Stan Lee and Jack Kirby as the first black superhero in major American comics. Though the character’s creation occurred before the Black Panther Party was founded in 1966, his name was briefly changed to the Black Leopard to avoid mistaken association with the party. The name was soon reverted back because both the writers and the readers preferred Black Panther. Perhaps one of the best-known Black Panther comic book storylines was the multi-issue arc written by Marvel’s Don McGregor beginning in 1973, which took place almost entirely in Africa and explored T’Challa’s attempts to govern Wakanda during a revolution against his rule. 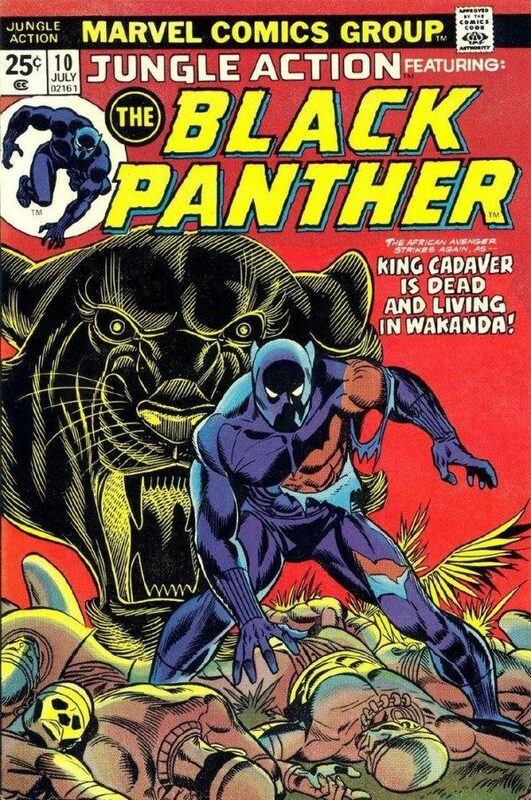 The critically-acclaimed arc helped to inspire Marvel to give Black Panther his own self-titled series, dramatically increasing his exposure to mainstream readers. T’Challa’s dual role as warrior and king became a central conflict in the comics moving forward, but it only serves as one example of the many socially and culturally relevant aspects of the character that could be particularly impactful if included in the upcoming film. In the comics, the Black Panther is actually a ceremonial title reserved for the chief of Wakanda’s Panther Tribe. While serving as king of Wakanda, this individual is also chief of all of Wakanda’s tribes. The title is hereditary, but must be earned through a series of trials. In addition to functioning as a political leader, the Panther also serves as the main warrior and protector of Wakanda, wearing a suit made of vibranium and ingesting a Wakandan heart-shaped herb to gain superhuman strength, speed and senses. The problematic nature of one king representing a nation composed of several independent tribes is explored repeatedly throughout Black Panther’s comic book history, and would have meaningful implications for moviegoers today. For instance, most American audiences could easily relate to the experience of being governed by a leader who does not represent or support their individual identity. Furthermore, T’Challa’s origin represents a unique opportunity to explore race relations. When his father, King T’Chaka, is murdered in the comic books by the enterprising explorer Ulysses Klaue during Klaue’s invasion of Wakanda in an effort to capture the nation’s valuable vibranium mound, a desperate T’Challa drives Klaue out of Wakanda. In the comics, Klaue is the child of a Nazi war criminal, raised under his father’s white supremacist beliefs. Thus, his invasion of Wakanda and eventual struggle against T’Challa is especially charged. In the Marvel Cinematic Universe, actor Andy Serkis’ Klaue has already been introduced, in 2015’s Avengers: Age of Ultron. He will also play a role in Black Panther, with trailers suggesting that he will be one of the main antagonists, though whether his racist beliefs are translated to the screen remains to be seen. While perhaps a bit intense for a Marvel film, the racial conflict between Klaue and the Wakandans would send an especially powerful message today, considering recent events in Charlottesville and elsewhere. Several comic book plotlines cemented Black Panther’s status as a symbol of opposition toward racial injustice, a status that the new film would be wise to embrace. In another inspired comic book storyline, T’Challa makes one of his first acts as king the disbandment and exile of the Wakandan secret police. This act would similarly carry a great deal of weight among American audiences, who are living in a nation plagued by racially-charged police brutality. In an admirable and perhaps un-superhero-like move, the comic book T’Challa then takes a brief break from ruling Wakanda directly, studying abroad in order to better prepare himself for his kingship. The movie seems to be adapting this plot point, with recent reports suggesting a flashback sequence showing a young T’Challa attending Saint Mary’s College High School in Berkeley, California (which also happens to be Ryan Coogler’s real-life high school). The film will also be incorporating actor Michael B. Jordan as disgruntled Wakandan exile Erik Killmonger, who in the comics stages a coup to usurp T’Challa. In his early appearances, Killmonger intends to take over Wakanda in order to rid the nation of what he describes as “white colonialist” influences and restore its traditional ways. The movie could be setting up for a similar premise, as the trailers hint at T’Challa’s apparent alliance with CIA agent Everett K. Ross, played by Martin Freeman. Perhaps Killmonger will protest to T’Challa’s willingness to align with western nations after Wakanda’s many centuries of isolationism. Considering the seemingly close relationship between Killmonger and T’Challa, this setup could make their rivalry just as political as it is personal, which would offer rich storytelling opportunities. Understandably, the two trailers for Black Panther have given us quite a bit to chew on. 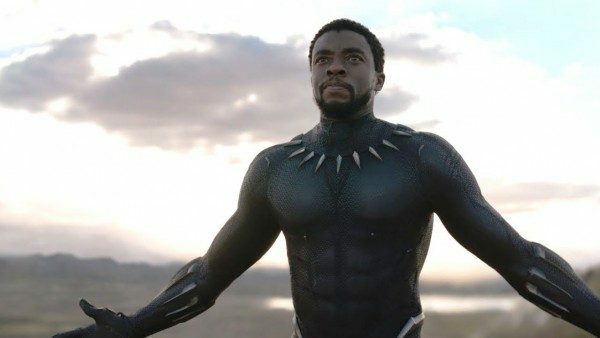 It speaks to the intelligent, calculating nature of Marvel’s filmmakers that these brief glimpses into the world of the upcoming film, particularly when paired with an understanding of Black Panther’s comic book history, offer so many exciting and culturally relevant storytelling possibilities. Response to the trailers has been overwhelmingly positive thus far, and hopefully those many excited fans will flock to theaters when the film opens in February. Based on what we’ve been shown, Black Panther may prove to be Marvel’s most culturally impactful film yet, an honor that even Avengers: Infinity War likely won’t be able to claim.